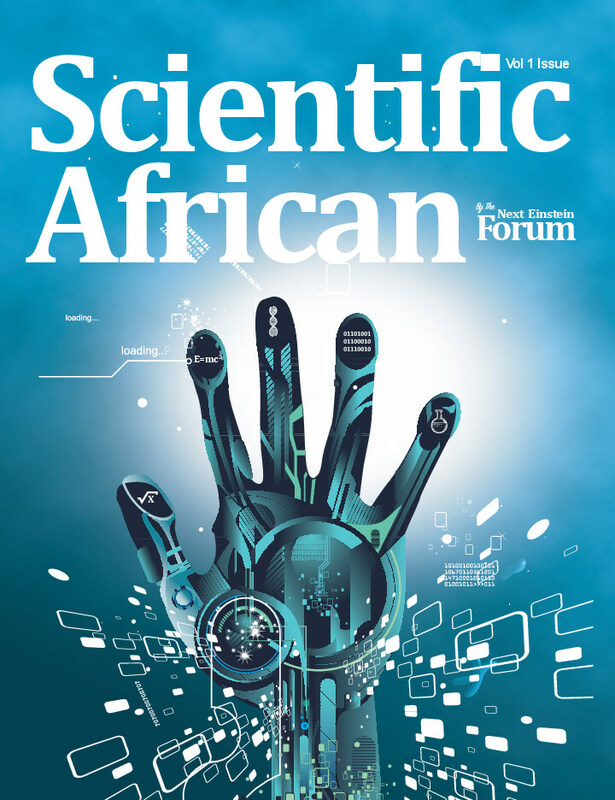 A unique partnership between the Next Einstein Forum (NEF), an initiative of the African Institute for Mathematical Sciences (AIMS), and Elsevier, the information analytics business specializing in science and health, will see the creation of a new pan-African, peer reviewed, open access publishing journal, dedicated to boosting the global reach and impact of research by Africans. Scientific African will generate increased visibility for African researchers and provide a platform to share their research with the global community. Despite the digital revolution, African researchers continue to suffer from a lack of global exposure. They will now benefit from Elsevier’s existing journal infrastructure and expertise to publish their research across a wide range of scientific disciplines. Scientific African is being launched at the Next Einstein Forum Global Gathering 2018 being held in Kigali, Rwanda, March 26–28, 2018. The journal’s mission is to widen the availability and capacity of research by Africans, increase its impact and discoverability, and make African research more visible around the world. Scientific African will publish articles that focus on areas of critical importance to African scientists, citizens, and policymakers. “Through the efforts of both Elsevier and the Elsevier Foundation, we are committed to building African capacity in research. Scientific African is a state of the art platform, which will complement national and regional efforts to increase visibility and provide cohesion for the African research community,” said Ron Mobed, Elsevier CEO. As part of its partnership with NEF, Elsevier will offer the publishing infrastructure for Scientific African at cost. Elsevier will also share its expertise in publishing, data sharing, marketing, editorial organization and information analytics, to help build a freely accessible flagship journal for African researchers. Headed by Fellows from NEF’s Community of Scientists, the journal will allow authors to publish their articles Open Access at a low cost, enabling African researchers to share their work to an international audience on a highly-visible, prestigious publishing outlet that utilizes Elsevier’s market leading technology. The official launch of Scientific African will take place on March 26, 2018 at 4:00pm CAT (Central Africa Time) at the Kigali Convention Centre during the Next Einstein Forum Global Gathering, in Kigali, Rwanda. The unveiling will be officiated by Mr. Thierry Zomahoun, NEF Founder and Chair and Mr. Ron Mobed, CEO of Elsevier. Reporters wishing to attend the launch can contact Nathalie Munyampenda at nmunyampenda@nef.org. 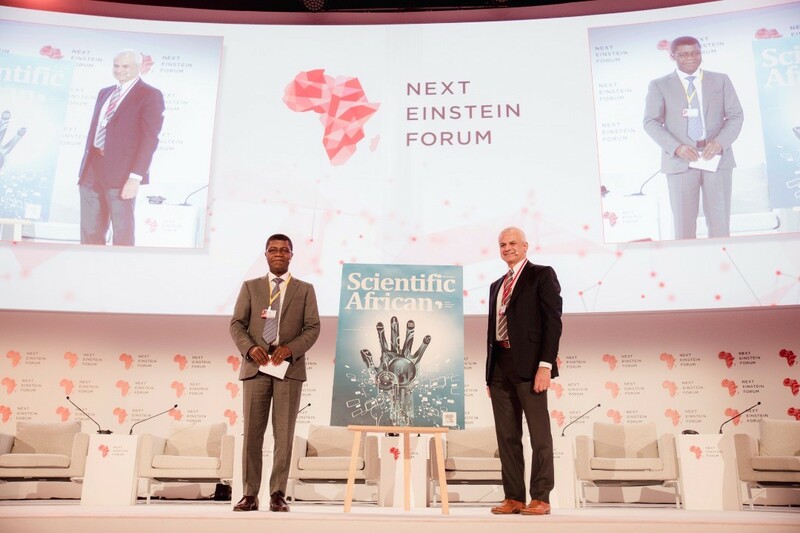 Launched in 2013, the Next Einstein Forum (NEF) is an initiative of the African Institute for Mathematical Sciences (AIMS) in partnership with the Robert Bosch Stiftung. The NEF is a platform that connects science, society and policy in Africa and the rest of the world – with the goal to leverage science for human development globally. The NEF believes that Africa’s contributions to the global scientific community are critical for global progress. At the centre of NEF efforts are Africa’s young people, the driving force for Africa’s scientific renaissance. The NEF is a unique youth-driven forum. At our headline biennial scientific events, 50% of participants are 42 or younger. Far from being an ordinary science forum, the NEF Global Gatherings position science at the centre of global development efforts. The next NEF Global Gathering will be held on 26-28 March 2018 in Kigali, Rwanda. In addition, through our Communities of Scientists, we showcase the contributions of Africa’s brilliant youth to Africa’s scientific emergence through its class of NEF Fellows, who are Africa’s top scientists and technologists under the age of 42, and NEF Ambassadors, who are the NEF’s 54 science and technology ambassadors on the ground. The NEF is also working together with partners such as the African Academy of Sciences, Ministers’ of Education, Science and Research across Africa, foundations and other global scientific and private sector companies, to build an African scientific identity. By bringing together key stakeholders, the NEF hopes to drive the discussion from policy to implementation by leveraging buy in and best practice results from Africa and the world. Have a look at our benchmark Dakar Declaration. Finally, the NEF is telling untold stories of scientific research and innovation across the continent through our various platforms. We want to recalibrate what ‘innovation’ means in Africa. We want to make the link between science and technology, even basic sciences, to everyday life. We want the public involved in science and we have recently concluded the first coordinated Africa Science Week – an annual three to five-day celebration of science and technology through coordinated science events across the continent. We believe the next Einstein will be African.